From DC Comics' hit Arkham video game series comes Batgirl! Based on her appearance in the game, this statue stands approximately 7-inches tall and is exquisitely sculpted in exacting detail. 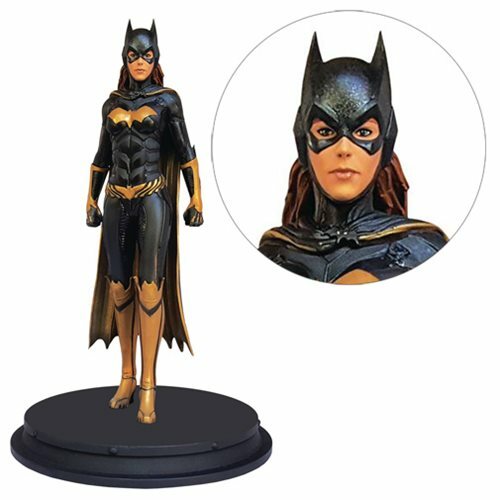 No bat-family is complete without Barbara Gordon, and no desk is safer than when Batgirl stands ready to defend it! Limited edition of only 1,500 pieces. Ages 18 and up.